Yes the time has come to buckle your seat belts. Here they come in full throtle. 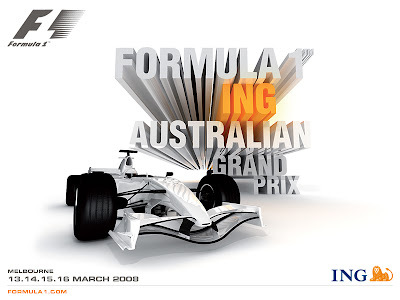 Formula 1 begins in few more hours in Melborne circuit. Hamilton's season sensation and Kimi snatching the title at the last race. Alonzo getting back to Renault, it doesn't get any better. This season's highlight for the sport as far as India is concerned would be Force India. Don miss the stats in offical website and some live blogging in mine.